Research has repeatedly shown that adults in the United States are under-immunized against a number of vaccine-preventable diseases. According to the CDC, up to 50,000 adult Americans die from these diseases every year. Women appear to play an important role in this equation, with some studies showing that they generally have more health maintenance visits with providers and are often in a position to encourage others to take care of various health maintenance issues, including immunizations. In September 2014, the National Foundation for Infectious Diseases and Rite Aid conducted a telephone survey of 1,000 randomly selected U.S. women, aged 26 to 74. The survey sought to gain an understanding of women’s attitudes, behaviors, and intent regarding vaccinations and adult vaccines. ♦ Tetanus, diphtheria, pertussis (7%). ♦ Do not ever get sick or do not get sick often (22%). ♦ Do not want their body exposed to the chemicals, the process, or medication (15%). ♦ Do not think flu shots work (12%). ♦ Do not like receiving shots (7%). ♦ Forgot to get flu shots (3%). ♦ Felt it was inconvenient (3%). ♦ Did not have time (3%). ♦ Flu shots were too expensive (2%). ♦ Cited that flu shots were not covered by their insurance (1%). Dr. Rehm urges healthcare providers to direct patients to visit http://www.adultvaccination.org—which features reliable information on adult immunizations for patients and providers —and http://www.cdc.gov. The CDC website includes the 2015 adult immunization schedule and a quiz that patients can complete to determine which vaccinations may be best for them. 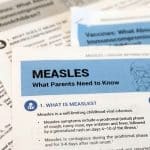 The finding that 30% of women consulted their pharmacist for immunization education or information about infectious diseases is viewed by Dr. Rehm as a sign that consumers are increasingly seeking vaccination information from providers, be it their pharmacist, nurse, nurse practitioner, physician assistant, or physician. Nearly 80% of women in the survey stated they would find it helpful to receive a printed immunization evaluation that includes a checklist of recommended immunizations based on their age and health. “This is also something that would be useful in medical practices,” says Dr. Rehm. Rite Aid and National Foundation for Infectious Disease. Immunization IQ. Available at http://mediarequests.info.riteaid.com/immunizations/. Scheminske M, Henninger M, Irving S, et al. The association between influenza vaccination and other preventative health behaviors in a cohort of pregnant women. Health Educ Behav. 2014, Dec 12 [Epub ahead of print]. Available at http://heb.sagepub.com/content/early/2014/12/11/1090198114560021.long. Phillips A, Kumar D, Patel S, Arya M. Using text messages to improve patient-doctor communication among racial and ethnic minority adults: an innovative solution to increase influenza vaccinations. Prev Med. 2014;69:117-119. Ding H, Black C, Ball S, et al. Influenza vaccination coverage among pregnant women–United States, 2013-14 influenza season. MMWR Morb Mortal Wkly Rep. 2014;63:816-821. Susan J. Rehm, MD, has indicated to Physician’s Weekly that she has served as a consultant to Merck and Pfizer. She has also worked as a speaker for Genentech.